Fueltek provide a wide range of AdBlue solutions, including high quality AdBlue tanks and pumps, monitoring solutions and storage tanks that are ideal for use in the commercial transport sector. AdBlue is a relatively new, low-cost product that has been introduced for use with diesel combustion engines to reduce NOX emmissions from vehicle exhaust systems, and help reduce the overall carbon footprint of the transport industry. As government targets to reduce emissions escalate, more vehicles are being made or adapted for AdBlue use. This means AdBlue use will increases across fleets, and more transport companies will store and dispense AdBlue. AdBlue is a non-toxic, colourless substance that consists of water and Urea. Using recently developed technology called Selective Catalytic Reduction, this liquid’s injection into a vehicle’s exhaust occurs before harmful substances like nitrogen oxide are expelled from the exhaust. Once the AdBlue is injected, the exhaust emissions will consist only of Nitrogen and Oxgyen: natural gases that pose no environmental risk. With the introduction of Euro 6 Emissions Standards, AdBlue will become ever more common within the transport industry and, because of that, proper storage and monitoring of your AdBlue tanks is essential. 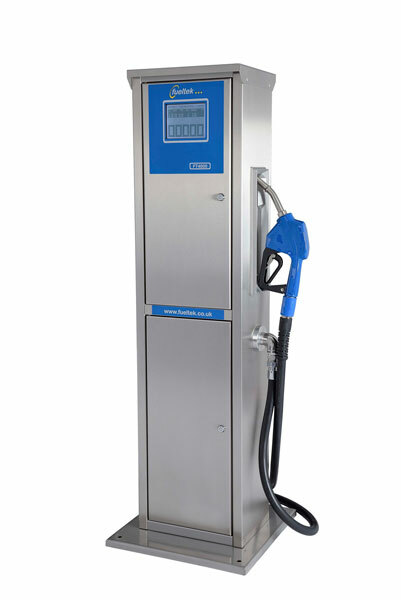 Fueltek AdBlue pumps – such as the FT4000AB – come with a 12-month part warranty and operate at a standard speed of 35 litres per minute. 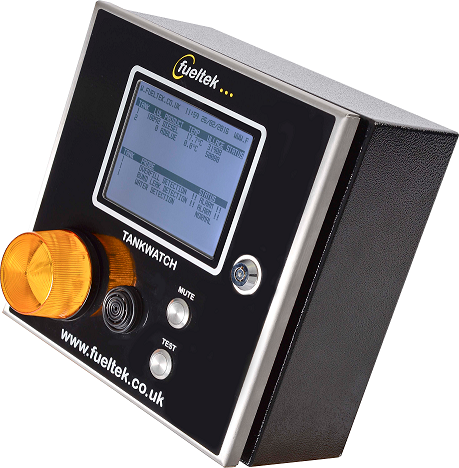 The FT4000AB is the perfect solution for accurate dispensing and monitoring of your AdBlue tank. 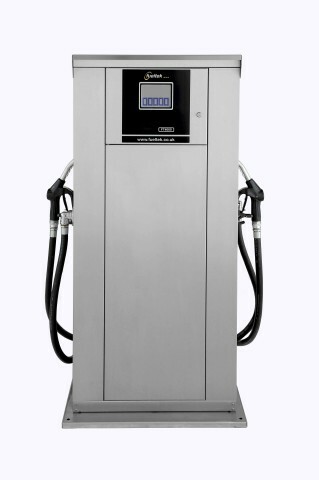 The FT4000AB is available in a number of configurations and can be specified as a pump or dispenser only, which has the ability to connect to any fuel management system through an in-built pulsed output, or as combination/Integrated AdBlue pump /AdBlue monitoring system. Interestingly, the monitoring system (even when integrated with the AdBlue pump) can control and monitor 3 other external fuel pumps of any product type. 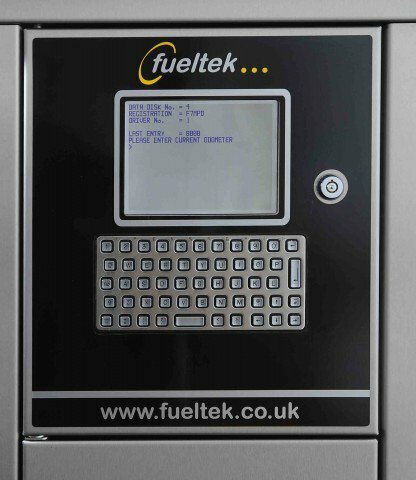 Fueltek can offer bunded fuel tanks for storing AdBlue; these tanks can be compartmentalised to store diesel and AdBlue, and fitted with a Twin FT4000 dispensing diesel and AdBlue. To enquire further about AdBlue storage tanks, pumps or other solutions with FuelTek, don’t hesitate to contact us today. We offer a complete service that covers everything from the requirements of your site to the standards that relate to electricity or the environment, so feel free to get in touch with us for more detailed information.